Republican state superintendent Tony Bennett, left, his Democratic challenger Glenda Ritz, GOP gubernatorial candidate Mike Pence and Democratic gubernatorial candidate John Gregg. At the end of four years-worth of notable changes to Indiana’s education policies, you head back to the polls Tuesday to decide whether the state’s top elected education official gets to keep his job. You also get to elect a new governor — a Republican who favors catalyzing public-private partnerships to improve career education, or a Democrat who hopes to start a state-run pre-K program. You can join us tonight for our live election night coverage. We’ll be holding a live chat and will be tracking results in the Superintendent of Public Instruction race between Tony Bennett and Glenda Ritz, along with local property tax questions on the ballot in three communities. But first, you have to go vote. 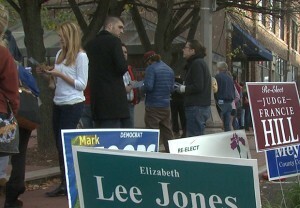 Voters line up in downtown Bloomington to cast early ballots in the 2012 election. Indiana law requires you bring a photo ID to the polls — a drivers license, state-issued ID, Military ID or U.S. passport will do. Click here to find your polling place or confirm your voter registration. 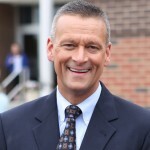 Incumbent state superintendent Tony Bennett, a Republican, faces an electoral challenge from Democrat Glenda Ritz. Bennett has drawn national attention from supporters of expanding charter schools, implementing private school voucher programs, and of holding schools and teachers to account for standardized test scores. Bennett, a former teacher and district superintendent, has become the poster child for these policies, all enacted in Indiana with the blessing of outgoing Gov. Mitch Daniels. Large campaign contributions from funders as varied as a Wal-Mart heiress to New York City Mayor Michael Bloomberg have drawn criticism for Bennett’s campaign, but Bennett says the contributions show how his policy changes have turned heads nationally. Ritz has drawn sharp contrasts between her and Bennett. She feels it’s inappropriate for state dollars to go to the private companies that run many of the state’s charter schools. While some Democrats criticize Ritz’s policy stances as obstructive, the Washington Township educator and local union leader says she’s standing up against policies teachers feel are misguided. 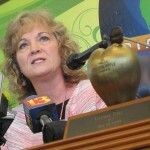 More than half of Ritz’s campaign contributions have come from the political arm of the state’s largest teachers union, the Indiana State Teachers Association. The union also provided organizational support for Ritz’s campaign, mobilizing more than 1,000 small-dollar donors and volunteers. 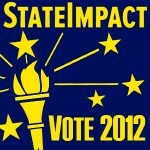 StateImpact moderated a debate on live radio between the two candidates. Politically, the “traditionally sleepy race,” as the Associated Press puts it, “has turned into a referendum on education policies that are endorsed by conservatives across the country.” The only poll to publish numbers on the race shows Bennett holding a slight lead. 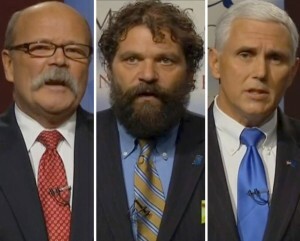 Indiana gubernatorial candidates John Gregg (left), Rupert Boneham and Mike Pence. 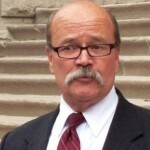 With Mitch Daniels term-limited, three men are now vying to take his place: GOP Congressman Mike Pence; Democrat John Gregg, a former Speaker of the Indiana House; and Libertarian Rupert Boneham. Pence says he plans to intend to expand career and technical education in the state’s public schools by incentivizing regional partnerships between schools and businesses. He hopes businesses would help cover costs of building curriculum to train students to fill skilled positions he says are going unfilled because of a shortage of qualified applicants. Gregg also says vocational education should be expanded. Indiana is one of a handful of states without a state-funded preschool program. Gregg says he wishes to change that by creating a state-run pre-K pilot program in 40 schools statewide. Pence says private, not-for-profit and faith-based organizations already run successful pre-K programs statewide. He proposes to create a means by which low-income and at-risk populations can enroll preschool-age children in those programs. Republicans are still likely to maintain control of the Indiana General Assembly — and thus maintain control over any further changes to education policy. But one Democrat says flipping even a few seats in this year’s election could send a message to the state’s GOP. Along with school board elections statewide, three school districts are asking residents to raise their own property taxes to fund education: Hamilton Community Schools, Bartholomew Consolidated School Corporation and Mt. Vernon Community School Corporation.